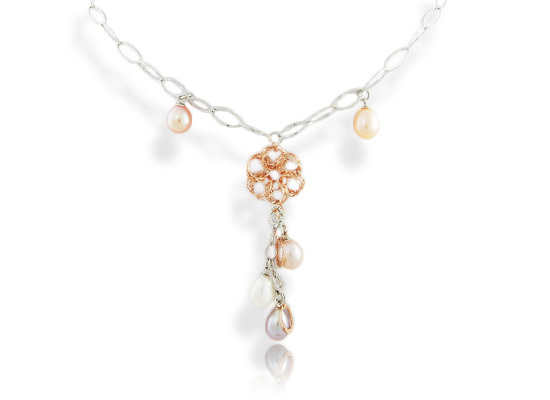 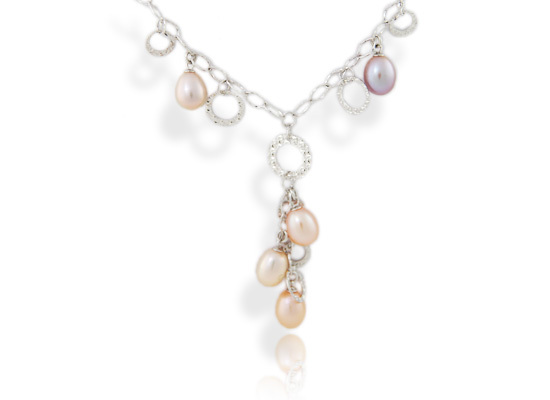 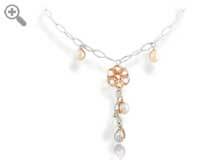 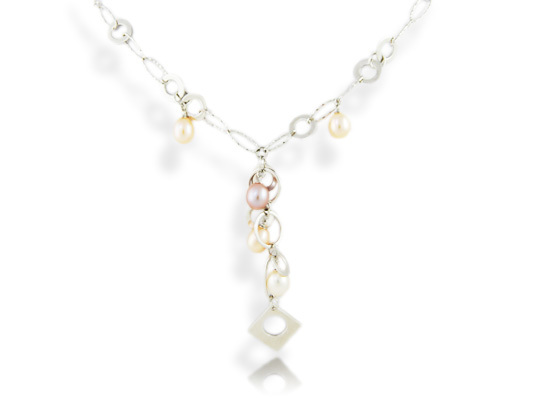 Here are some examples of our prestige pearl necklaces. 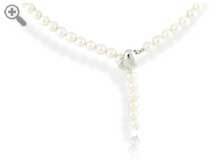 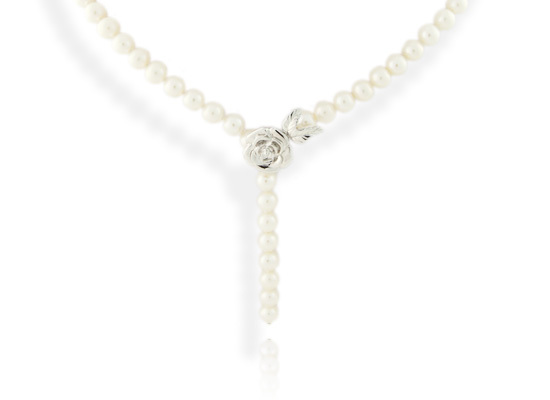 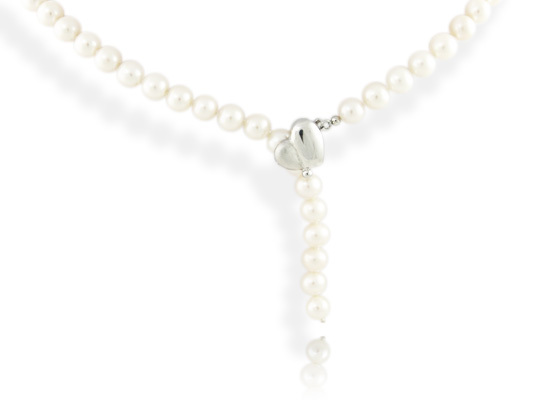 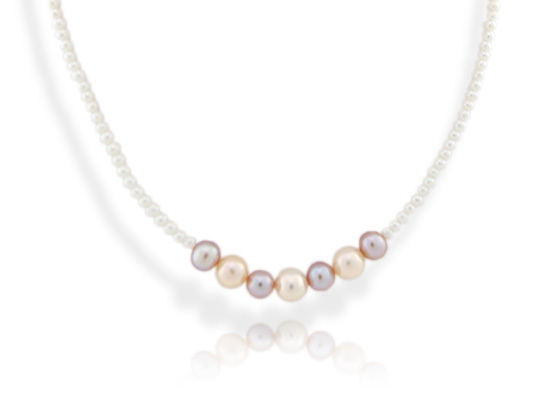 Our pearl necklaces are A, AA & AAA quality. 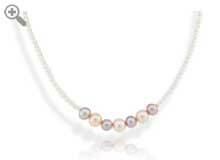 They are round, button-shaped or rice shaped and range in size from 6mm to 10mm. 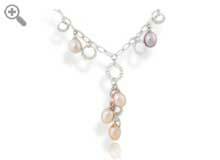 They come in white, purple, peach & multi-color. 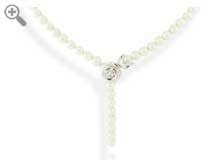 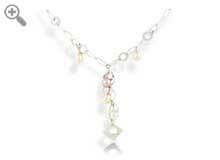 Some necklaces are available with a chain clasp.